Let’s get to the procedures. What’s important to understand is… persistence and following the protocols. A bed bug treatment must not end after one treatment. This is because of external sources out of your control, which we will explain in a bit. Below is a short and sweet process to follow every treatment cycle. If you keep having bed bugs, find out which step your not doing. Don’t get lazy… be persistent during this treatment and you are guaranteed to get rid of these pest for good. Now, if you did the steps above but your still getting bed bug bites. You need to consider who or what has brought in a new colony of bed bugs. Review the external sources you need to be aware of that you are very likely getting bed bugs from even though your doing your treatment correctly. And yes… it can be a friend or family member. Please share this free guide with friends and family. Residual Bed Bug Treatments Used by Resorts and Pest Professionals. Before diving into an inspection. 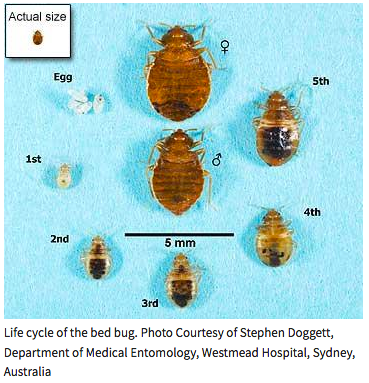 Below is some common evidence of bed bugs. These are what most bed bug sufferers see or feel when they are unsure if its a bed bug infestation or some other pest like dust mites. Here’s a video of what bed bugs look like. Below is the most common areas you will want to inspect and most likely will find bed bugs. It’s important to do a full inspection, if not you will do your treatment then miss a nest or hiding location. Below are the most popular hiding spots for bed bugs and should be your first inspection points. The above will be the most crucial points, but leave this page open while doing your inspection and refer to it every inspection cycle. You can also refer to this guide on how to do a more detailed bed bug inspection. Collect removable items linens, clothing, encasements & wash them. While you may have treated your bed or couch. What about the sheets that may have eggs which you can’t see. This is where a common bed bug infestation gets re-born again. So below is all the stuff you want to strip off and wash in high heat or steam heat. I think you get the point… the reason this is important because we have customers whose husband was bringing bed bugs home from work. The husband was a mechanic but worked in a car which had sweaters in it… and these bed bugs jumped on to his flannel. Then the husband would come home and bring the bed bugs from work. The wife simply had to wash the sweater after discovering it was the cause of the daily re-infestation. The section below will explain the steps and tools to treat a bed bug infestation properly. If you wish for a detailed treatment guide, review our professionals bed bug treatment procedures. This was collaborated with pest managers to ensure bed bugs are removed entirely. Don’t shy away from this step because you may believe a heat treatment is expensive. It’s truly not, and you can do it yourself if you choose. You will want a high-heat steam cleaner that is powerful enough to singe these bed bugs and eggs in seconds. 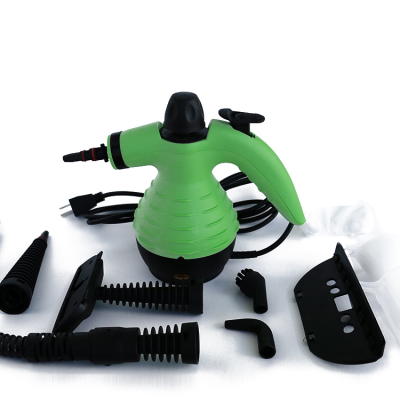 Take a peak this specially designed bed bug steamer that is the most popular hand-held one out there. 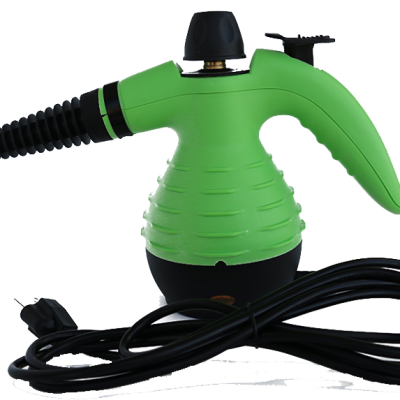 Of course, this is not a must… but when working with pest control managers, resorts, and health facilities they all found faster success by doing there bed bug treatment accompanied by the hand-held bed bug steamer. 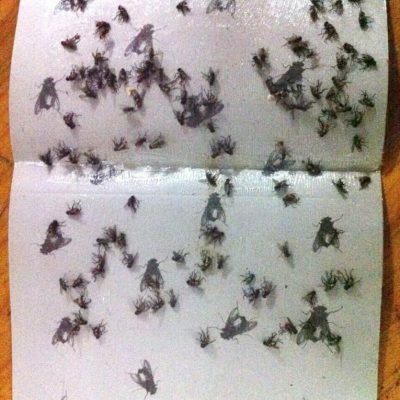 Just remember to use the steamer before using your bed bug spray. This way you do not wash away the dry residual from the bed bug treatment. Yes, we hear that alot. The major reason this is happening is the product you are using and the treatment process. 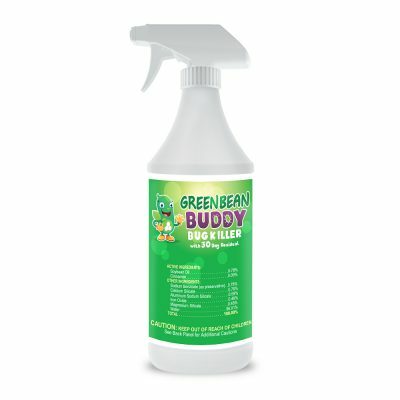 In reality… most products out on the market are simply contact killers and are using harmful pesticides which bed bugs are becoming immune to. 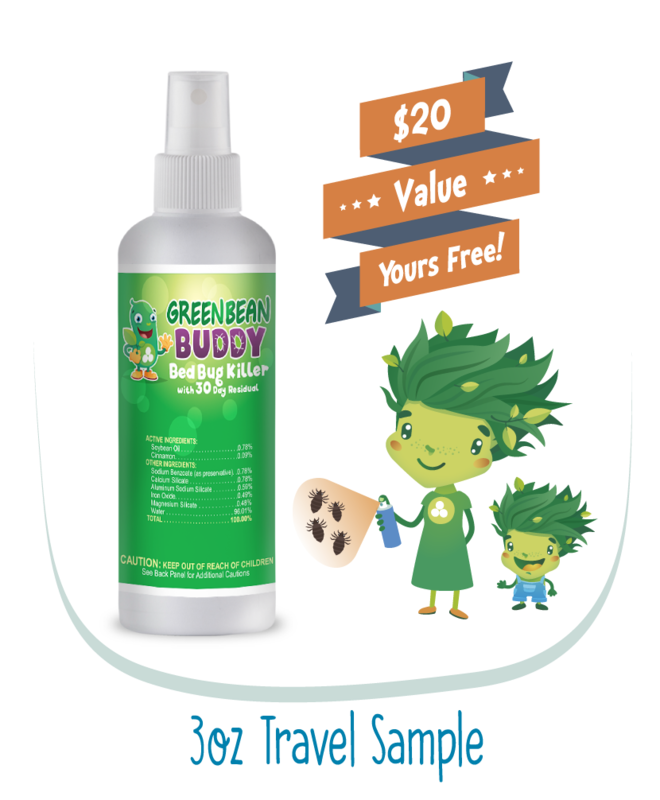 This was why resorts and health facilities came to Green Bean Buddy to setup a discreet treatment which smelled fantastic, yet would kills all pests and have a residual that would prevent the bed bugs and other pests from re-infesting the rooms. There were multiple (11) month studies which were conducted in government run museum and multi room health facility using this true bio-engineered bed bug formulation. After the first residual treatment… the Entomological scientists monitored for a (11) period. Yes… 11 months!!! And there was not one sign of bed bugs. So… yes, residual is important and stop using off the shelf cheap contact killers. They will cost you more in the long run. It’s up to you, but consider a true non-toxic residual bed bug treatment that you can do yourself. Don’t sweep!!! Vacuum everything into a bag. We recommend this because you will have dead bed bugs after doing the treatment. You also may vacuum up eggs which you can’t visually see. This is another reason we recommend sealing the vacuum bag and disposing after the treatment. Look… if any company claims its a one and done deal with their products… Be cautious! The reality is bed bugs can come from external sources. This is the most common way they re-infest your property. Using a residual bed bug spray allows you to literally treat while you sleep. Ohh… also spot treat, don’t drench this will give you more formula to spread thru your treatment. It should re-iterated… that you yourself are capable of getting rid of bed bugs. This is not some selling pitch or motivational statement… it’s entirely a fact. How else can resorts get rid of bed bugs so quickly or… how does a multi-room nursing home completely keep bed bugs away for (11) months. It’s the product and the process. Stick with treatments and spot treat with a residual bed bug spray to protect your property from bed bugs. Below is suggested items to help you in the process. You simply will want to follow the procedure steps above and stay consistent. The goal here is to treat your property and be aware of external sources which may cause another infestation. What is the best way to get rid of bed bugs in your house? Getting rid of bed bugs for good in your house is very possible but you have to be diligent about it. Cleaning and treating your home properly using the correct bed bug formulas that actually work are extremely important. We have all spent a lot of money on bed bug products that just didn’t seem to get the job done. It is extremely important to use a bed bug killer that has some type of residual effect meaning it will stay active killing them even after it dries. If the bed bug spray doesn’t have a residual it is labeled as a contact killer meaning it kills the bed bugs you see but what about the ones you don’t see? Without a residual treatment you will simply be continuing a vicious and painful cycle. If you use contact killers, the expenses will be never ending as you will need to continually to re-treat. If you or someone you know has bed bugs, fleas, or other biting insects. 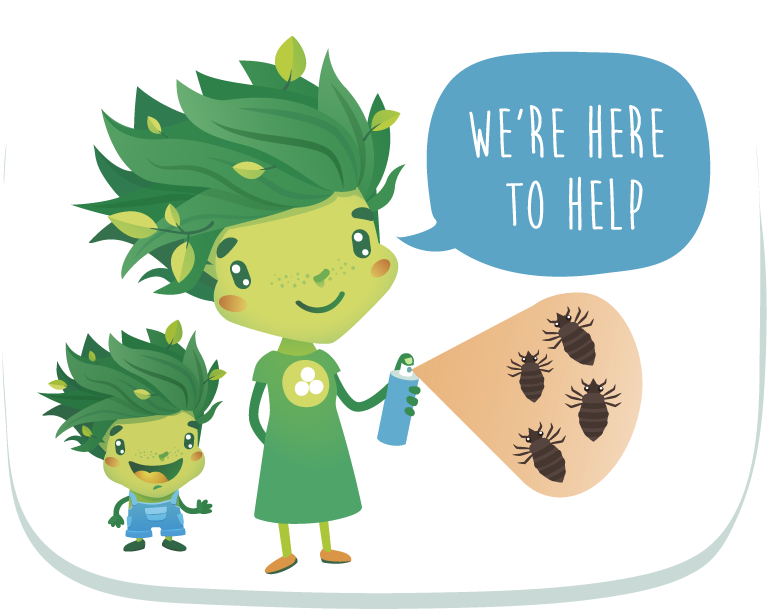 There is a program available with the purpose of reducing the risk of bed bug and flea outbreaks. 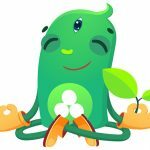 Green Bean Buddy mission is to infuse wellness into the home of the human being. Reports of bed bug infestations have been on the rise. Fortune 500 companies who work with us privately have been increasing their purchasing for hotels, resorts, and health facilities. It is becoming a quite concerning ordeal and Green Bean Buddy is looking to assist the local victims best way we can. To reserve a complimentary sample for you or a family member, visit this local page being served to specific locations. Please limit one complimentary sample per household. We know this is a stressful situation and we appreciate you allowing us to help you thru this. In hopes of showing you are commitment and good faith as your supplier of pest control products. We are happy to offer any advice we can to help you. We will do our best to reply, but please be patient as we are helping a large number of customers around the globe. Does this product need to be reapplied every month? For example, to ensure you get rid of the infestation entirely you will want to spot treat every week or so initially. So in your case, when you use our product. We send procedures to follow. One of the first things we teach you is doing your inspection. Then from there you treat areas… but it’s possible you have external sources that cause a re-infestation (Like.. you have a guest come-over, or your neighbor brings them over… You went on a flight/taxi, You went to doctors office and one jumped on you…. etc.) The re-treatment prevents the re-infestation from occurring again from external sources out of your control. Also, at times you may have killed the female egg layer… but missed her eggs in the nest. So in about 7 days, these nymphs hatch. Thus you may be getting bites, but don’t see what the heck is biting you. This is another good reason to re-treat. It only benefits you to re-treat as this is the one way to ensure to get rid of the infestation entirely and prevent another infestation, simply because there are outside variables out of your control that can cause these bed bugs to come back. Now if it’s a big infestation and you had it for a while, it’s very likely you will need to re-treat a few cycles. Don’t worry… you would use the product to spot treat, and not drench areas. This way you can re-treat as needed and have enough product for that 30 day re-treatment if needed. Remember, the product will line a clear barrier on surfaces and this will prevent the bed bugs from coming back repelling and killing them. In summary spot treat, so you have enough if you need to re-treat. You still have not answered my question about heat/ all the other remedies include massive heat/ I am in the midst of doing treatment but have no source of heat. Hi Patty, we did not receive your prior question. But will try to answer here. Heat treatment is not required. It is helpful to use our steamers every once a few weeks during infestation, but no means mandatory. Now if you are referring to heating the entire room or home. This would require some massive heating machines usually done by professionals. In all honesty this may be overkill as we have testing showing treatment using green bean buddy on a weekly or monthly basis till infestation is gone will work. Here is the study of our treatment working in a government museum and resort. You will see the formula worked better vs using heat. One reason why is in these studies people could not afford to leave the work place or location for longer then 24 hours. So don’t worry about having no source for heat. Simply use re-treatment in common pest hiding locations on a routine basis till the infestation subsides. Do not OVERSPRAY… just mist around the your sleeping and living areas. Also spray directly on bed, linens, walls, neighbors adjacent walls, back of picture frames, and look up at ceiling. They will try to escape the residual by crawling up… Of course pick up bed and couches/chairs and look and spray there too.